Als Radiologo muss das MVI von Hand in radio.mvi umbenannt und in dem Ordner /usr/share/enigma2 abgelegt werden.Continue Reading..
Voici un tutoriel en image sur la configuration d’un décodeurs Dreambox 500S Clone avec une image Gemini 4.70 Maxvar CCcam 2.1.4. 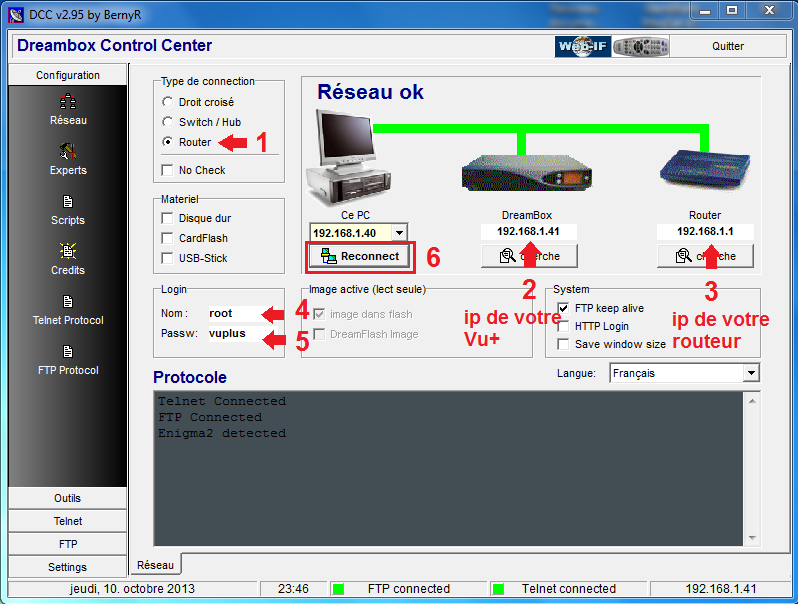 1- Allumé votre Dreambox faite Menu > Réglages > Configuration expert > réglage de la comunication et noté l’addresse IP de votre Dreambox. Put your CCcam lines in it. Make sure your Lines have the correct format according to your box.Continue Reading.. The loading method is quite different and much simpler as compared to Dreambox decoder thanks to its built-in USB 2.0 host port. And what users need to have is a USB thumbdrive (with CCcam.cfg file stored into it) plugged into the USB 2.0 host port of the decoder. If you already have those ready, follow below steps:Continue Reading..